WHAT IS IMPACT HUB INVERNESS? Scotland's first Impact Hub. Serving the Highlands and Islands. Impact Hub Inverness is a flexible working space established to bring together lone workers, to combat social isolation and to encourage social entrepreneurship. A space to work and to connect with like minded individuals and organisations. Rent a desk for an hour, a day, a week, a month. Book a meeting room. Join us for coffee or a networking event. ​Become a member and share the benefits of becoming part of a team. Scotland's first Impact Hub in Inverness is part of a global network of people taking action towards a single purpose: Impact. ​From Amsterdam to Bergen, Singapore to Los Angeles, Impact Hub has evolved into a rapidly expanding, diverse global network of over 15,000+ members in 40+ locations. 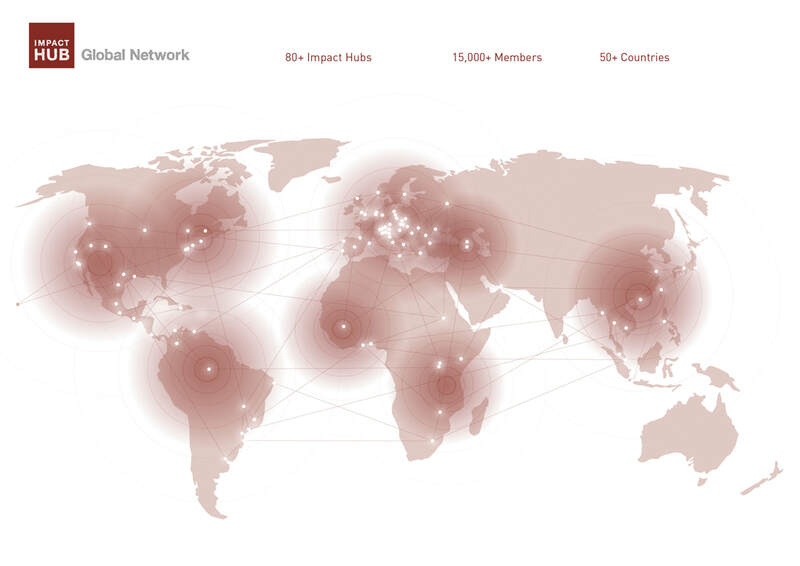 There are 100 Impact Hubs across the world, each with innovative programs, events, and cutting-edge content. Impact Hub Inverness is space for entrepreneurs to collaborate, share resources, attend events, and find new answers to old problems. And not only that, if you are an existing social enterprise we can help you develop through the Scottish Government Just Enterprise programme of support, which is free. Find out more on our Programmes page. ​We also deliver a number of workshops throughout the Highlands and Islands on various topics from Business Planning to Charitable Trading. See our Events page for further information and to book. Impact Hubs are where change goes to work. Part innovation lab, part business incubator, and part community centre, we offer our members a unique ecosystem of resources, inspiration, and collaboration opportunities to grow impact.